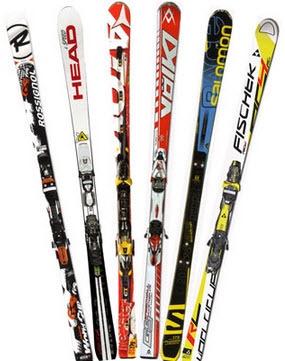 WHAT SKI RACING EQUIPMENT DO WE NEED? Q: Does my child need a helmet? A: Yes. The CMAC program has a mandatory helmet rule - helmets should have protective covering that in one piece covers head and ears in hard protective covering. 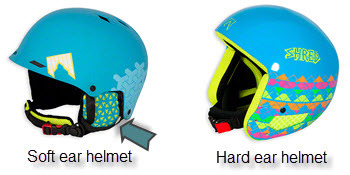 Face guards on helmets are optional for slalom, and not allowed for other disciplines. If your child is getting close to the gates a face guard is a good idea for slalom. Note that helmets should be approved ski helmets (not cycling, motocross, etc.) 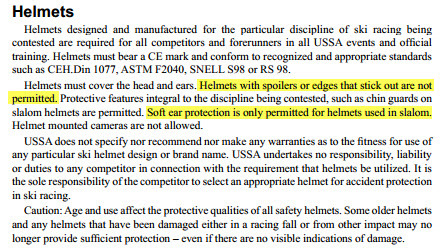 Per USSA regulations helmets must bear a CE mark and conform to recognized and appropriate standards for non-motorized snow sports, including CEH.Din 1077, ASTM F2040, SNELL S98 or RS 98. The USSA does not allow helmet mounted cameras in official training (e.g. official training runs prior to a DH event) or racing. Q: Can we use a soft ear helmet? A: If you are only going to get one helmet, make it a hard ear helmet. Per USSA regulations, a soft ear helmet is only allowed in slalom and these USSA regulations will be enforced during all USSA sanctioned races (which are typically for U14 and older athletes). Prep program athletes will be allowed to train with a soft ear helmet, and race in the Sallie McNabb Cup, although we would still encourage use of a hard ear helmet, and a hard ear helmet will be required to race in a GS or Super G race such as the Cherry Tree Charge. All other athletes (Mighty Mite Race program and programs for older athletes) should have a hard ear helmet which is required for all race disciplines except slalom. 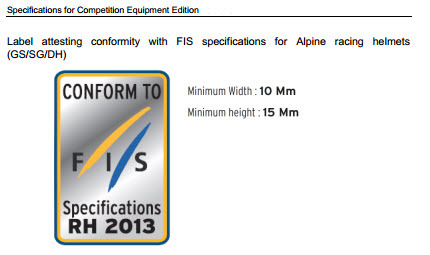 Q: What are the new FIS and USSA helmet requirements? Q: Where do we buy ski equipment? Are there any equipment deals for my child? Are hand-me-downs OK? A: Sturtevant’s and World Cup are great supporters of CMAC racers. Look for their yearly racer discount day advertised on the web site and through blast mails. 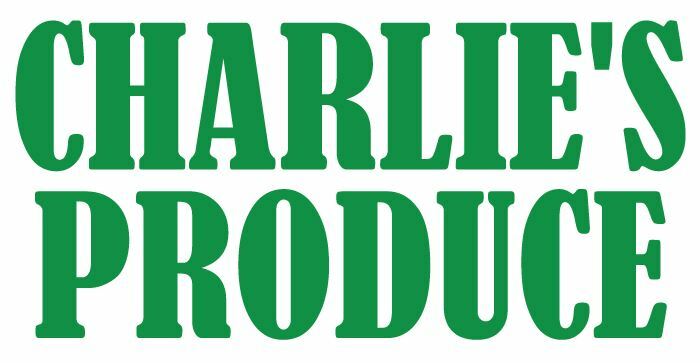 You may also look at our Product Rep page for coaches that represent various products and may be able to provide you pro form costs with the use of your USSA membership. CMAC will have a gear swap during the season so look for announcements on the site and in email. We also encourage hand me downs providing they are still in good condition. Equipment is forever changing hands at CMAC, check our CMAC Buy and Sell Facebook page for the latest gear. TAS and MIssion Ridge have similar forums in Facebook. There is also a forum at SidelineSwap which might also be helpful. 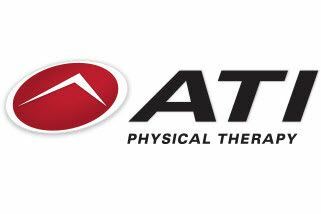 Finally there are many fine outlets for gear on the web, including ARTech, Race Place, RaceWerks, SVST. A: CMAC's tuning guru John Ellis has written a document on tuning standards by age group. This can be found here. Q: How long should skis be? Q: How do you know when a kid needs new skis? A: When the bases and edges are beyond tuning or when the child outgrows the pair they have. If you are not sure ask your child’s coach for their opinion. Look to see what other kids are skiing on, or ask your tuning shop. Q: How many pairs of skis should a kid have? A: For U12 and under age racers, one good pair is usually fine. 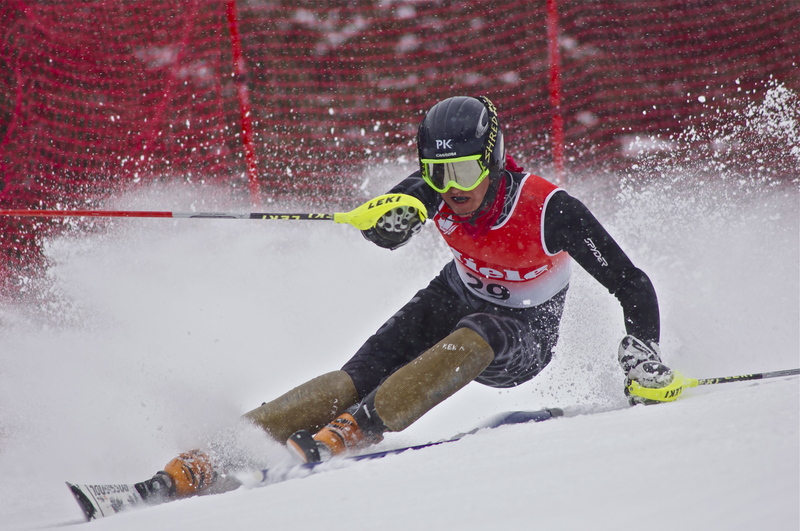 As racers approach the Junior level, a pair of skis for slalom and a pair for giant slalom is the norm, but not required. Q: How many times can you move bindings? A: The more you move bindings the weaker the ski becomes, certainly not more than twice. You can always try it but the ski is likely to break. If the skis have riser-plates on them, bindings can be moved indefinitely, if you are careful to preserve the holes. Q: Can you tune skis yourself? Are there any classes? Where do you buy wax etc.? A: Yes you can tune your kid’s skis yourself and classes are given by World Cup Skier Services. The classes are excellent and definitely worth attending if you plan to tune your own skis. Q: How long should poles be? A: In the past it was recommended that your elbow be at 90° when your pole is in the snow. Now a little longer is regarded as better. Q: Does my child need special poles, pole guards, GS poles, etc.? A: They don’t need guards unless they are hitting the gates and they will let you know when they start hitting the gates. They don’t need GS poles. Q: Where do you buy the CMAC team jackets? A: Orders for new gear are taken once a year in the spring here on the web site. (This will be announced in our email communications beforehand.) A team jacket is not required, and most Saturday Prep program athletes don't have a team jacket. If you're new to the team, a great option to find a jacket is to get one form another family via our equipment buy and sell group on Facebook: https://www.facebook.com/groups/CMACBuyAndSell/. Q: Are there any extra items we should have on hand?